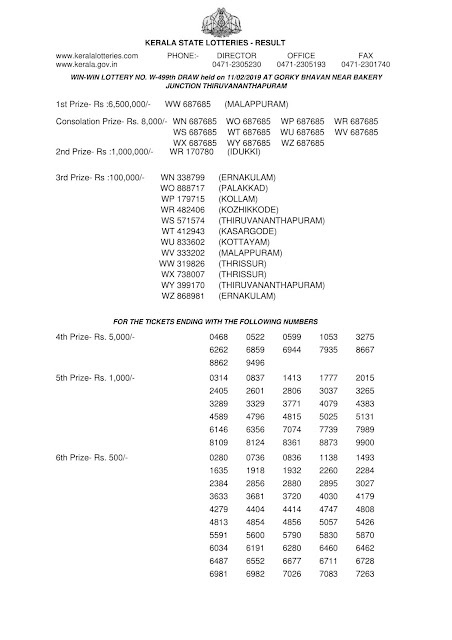 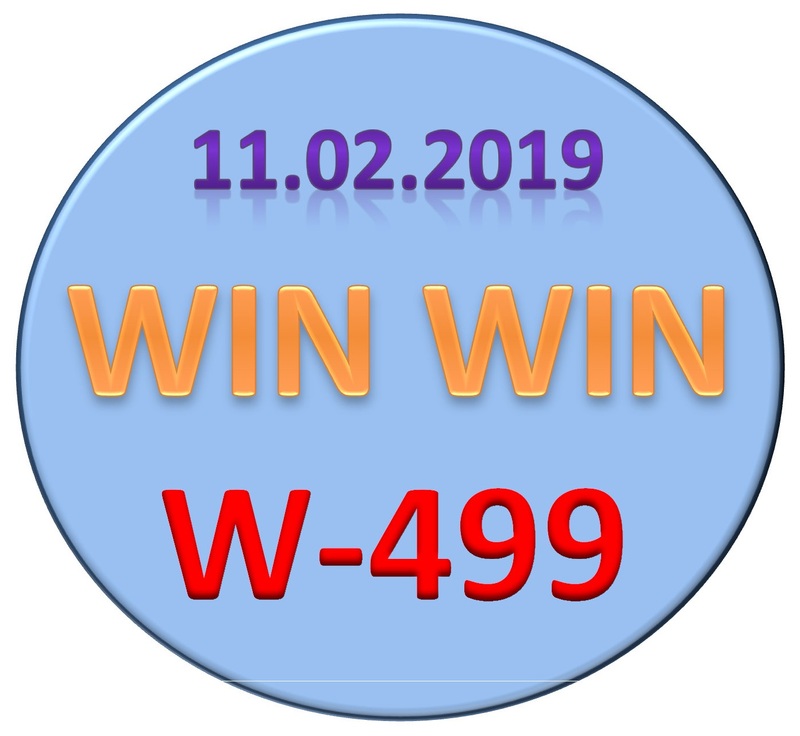 Kerala lottery result of Win Win W-499 on 11-02-2019. 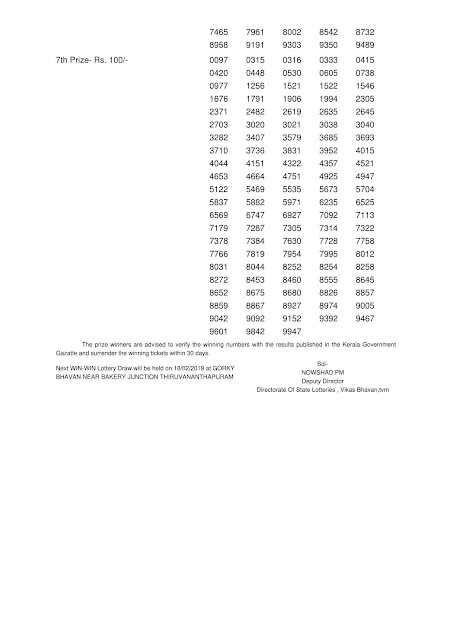 Live results from 3 PM and Official results by 4:00 PM. 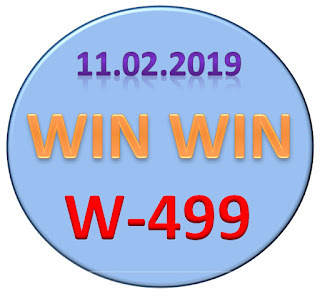 Tomorrow on 12-02-2019 "Sthree Sakthi SS-144" lottery draw at 3:00 PM.